After a tumultuous 2016 in which President Nicolas Maduro appeared on the brink of falling, Venezuela’s government seems to have bought itself more time in power. This is quite a change from midyear, when Mr. Maduro appeared on the verge of exit. However, he has proven to be more astute than his political adversaries – and even allies – gave him credit for. The government has worked diligently to limit threats to itself, most notably by blocking the possibility of a democratic change. Venezuela’s constitution of 1999 does not provide for presidential impeachment, but does allow for a recall referendum – the functional equivalent of a popular vote of no confidence. According to the constitution, if a valid recall vote had taken place before January 10, 2017, the president would be removed from office and new elections held. However, if the recall vote occurs after that date and goes against the president, Mr. Maduro would be replaced by the executive vice president, who would serve out the remaining two years of the term. This gives President Maduro the whip hand, since the constitution lets the president freely appoint and remove the vice president as well as cabinet ministers, meaning he can handpick his successor. For most of 2016, Mr. Maduro and the United Socialist Party of Venezuela (PSUV) did everything they could to stall the referendum. These dilatory tactics went a step further in October, when the authorities got the National Electoral Council (CNE) to suspend the collection of signatures for a referendum in five states. In each of these PSUV-controlled jurisdictions – Apure, Aragua, Bolivar, Carabobo, and Monagas – the local courts had already ruled that voter fraud had taken place in an earlier round of signature collection. This was clearly unconstitutional, since the lower courts have no powers over electoral matters and no right to usurp the CNE’s prerogatives. But the step effectively blocked any chance of holding a recall referendum before January 10, thus all but guaranteeing the Chavistas will stay in office until 2019. Mr. Maduro then completed his arrangements by reshuffling the government, appointing a new executive vice president and designated successor, former Interior Minister and government hardliner Tareck El Aissami, on January 5. The administration also tried to head off the risk of a destabilizing social protest. 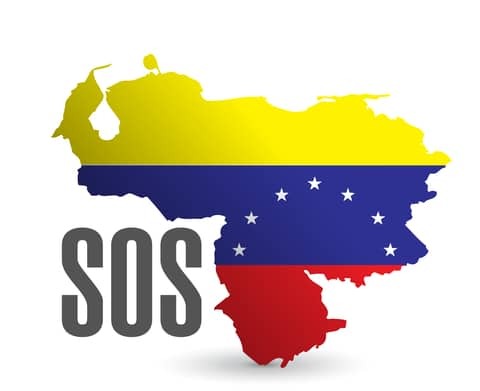 Venezuela’s deteriorating economic and security situation is well documented, including its having the world’s highest inflation rate, extensive food and medicine scarcity, and one of the world’s highest homicide rates. To mitigate the possibility of demonstrations, Mr. Maduro quietly reduced price controls on some items and expanded imports in early October, increasing the availability of goods in at least six states. To avert the possibility of a military coup, Mr. Maduro has increasingly tied his survival to the military and Defense Minister Vladimir Padrino Lopez, who easily survived the latest cabinet shake-up. Mr. Padrino Lopez’s de facto role expanded dramatically in July 2016, when he became a virtual co-president by taking over supervision of national food distribution acting as Mr. Maduro’s coordinating chief of staff. President Maduro is well aware of the armed forces’ enormous power and senior officers’ vested interest in defending the status quo. Accordingly, he has packed the cabinet with high-ranking military members while shielding and promoting those who have been hit by foreign indictments on drug-trafficking charges. Given their power and predominance in the government, it is evident that the armed forces have become the arbiters of political change in Venezuela. Thanks to this successful delaying action, now more than at any point since his election in 2013, it seems that Mr. Maduro might finish his term. However, his political survival in 2017 will depend on three factors: 1) avoiding a sovereign debt default, which will hinge on domestic output and higher global oil prices; 2) containing hyperinflation, and especially catastrophic increases in the prices of basic consumer goods; and 3) whether the MUD develops the political capacity to challenge the government’s authoritarianism. For much of 2016, the state-owned oil company Petroleos de Venezuela S.A. (PDVSA), which is responsible for the state’s debt obligations, was on the brink of a $10 billion default. However, after four unsuccessful attempts in August and September, the government finally managed to push through a partial debt swap of around $2.8 billion in mid-October, using as collateral a 50.1 percent stake in Citgo, PDVSA’s refining and retailing subsidiary in the United States. This was followed in December by an unspecified debt operation with Russia’s state-controlled oil firm Rosneft, using the remaining 49.9 percent of Citgo as insurance. By exchanging the old notes, due in April 2017 and November 2017, for new debt with annual payments through 2020, PDVSA managed to reduce its immediate bond outlays by some $900 million. In early January, the government then issued new sovereign bonds for the first time in five years for $5 billion, selling the securities to the state-run Banco de Venezuela. This should give a short-term boost to the economy, and may even allow the government breathing room in meeting its immediate debt obligations. Nonetheless, structural problems remain with Venezuela’s oil sector that threaten its sovereign debt long-term. A recent report by Igor Hernandez and GIS’s Francisco Monaldi estimates that PDVSA suffered between $7 and $12 billion in negative cash flow in 2016, while producing 360,000 fewer barrels per day than in 2015. This is a result of both mismanagement and run-down infrastructure. The country’s production mix is becoming heavier, due in part to the crumbling condition of the state-owned wells in light-crude areas and the resulting overcompensation of joint venture wells in the Orinoco heavy-oil belt. The result is that Venezuela is producing less oil, and the oil it exports is less profitable. Without a substantial recovery of production capacity as well as international crude prices – which have risen modestly after OPEC agreed on limited production cuts – it may be difficult for the government to meet the entirety of its 2017 bond obligations. The task is so urgent that President Maduro removed Oil Minister Eulogio Del Pino in January’s cabinet reshuffle but left him in charge of PDVSA, so that he could focus entirely on reviving output. The second and most pressing issue confronting Venezuela is hyperinflation. The problem dates back to 2003, when then-President Hugo Chavez fixed the bolivar’s exchange rate to the U.S. dollar to help make up for lost oil revenue due to a strike by PDVSA workers. The decision created a black market for foreign currency that has been highly susceptible to inflation. Instead of lifting the currency controls, the Maduro administration continues to print money. The situation has now spiraled out of control, as the amount of currency in circulation increased by nearly 20 percent over a two-week period in late November and early December. The monthly inflation rate on the parallel market exceeded 50 percent for 30 consecutive days, officially tipping the country into hyperinflation. The government has thus far agreed to palliative measures only, such as swapping smaller for larger denomination bills. Without genuine monetary reforms to normalize the bolivar’s exchange rate, hyperinflation could pose the most serious threat to the government’s survival in 2017. Despite the country’s dire economic straits, the government has gotten an unexpected boost from the fractious opposition. Less than 20 percent of the voters consider themselves Chavistas, but only 38 percent identify with the opposition, while fully 43 percent call themselves “independents,” according to a December opinion survey by the market researcher Keller y Asociados. Instead of building an effective political challenge, the opposition appears to be succumbing to internal fragmentation reminiscent of the days before it unified to win the 2015 elections. Multiple leaders are jockeying for power and proposing different and often contradictory plans of action—including a divisive roll call vote in the National Assembly to remove Mr. Maduro on the grounds of “abandonment of office”. This has only served to further undermine the MUD’s legitimacy. The two key questions for 2017 are whether PDVSA will manage to stave off a default, and whether President Maduro will stay in office. The second seems more probable than the first. The risk of default will remain significant over the next two years. PDVSA still faces about $6 billion of principal payments by the end of 2017, and immediately following the October 2016 swap, traders were betting on a 51 percent probability that the company would default within the next 12 months. However, subsequent dealings, including the $5 billion bond issue in January, may allow Venezuela to keep making payments. This risk will creep up again if Mr. Del Pino does not take immediate steps to ramp up oil production – which seems rather unlikely without drastic changes in the way PDVSA is managed. If the company defaults, then it is all but certain that the government will do so as well. That would leave Venezuela with just three financing options: 1) drawing on its dwindling foreign reserves of some $11 billion; 2) printing more bolivares, which would merely accelerate hyperinflation, and 3) running arrears with suppliers (assuming any can be found). Mr. Maduro’s prospects seem brighter. He has already eliminated the possibility of a recall referendum while shoring up his defenses against a military coup or the outbreak of social unrest. Disarray among the opposition is simply icing on the cake. A hostile stance toward Venezuela from the incoming Trump administration would likely benefit Mr. Maduro even more. Thus, it appears that the most likely scenario is for the president to remain in office until the next general elections in December 2018 – assuming the Chavista authorities allow them to be held. While other political scenarios are still in play, their probability is reduced. Venezuela’s economic situation is so desperate that further deterioration could bring people into the streets. In this case, the outcome would depend on whether the opposition would be able to mobilize and coordinate these protests effectively enough to force the president to resign. But even in that case, it is more likely that another member of the ruling party would take over. The possibility of a coup or a recall referendum in 2017 is an even longer shot.